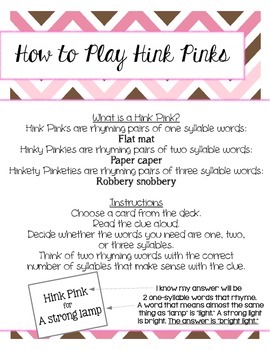 Hink Pinks, Hinky Pinkies, and Hinkety Pinketies are word riddles. 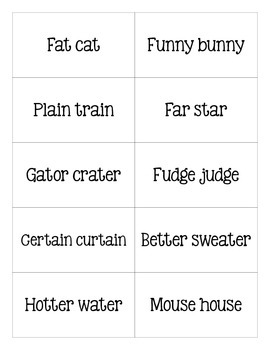 These riddles help enrich students' vocabularies while maintaining their interest. These free cards contain riddles of varying levels of difficulty. 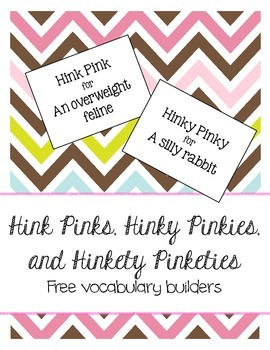 They are perfect for centers, or as an “I'm Done” activity, and can be played in a group, in pairs, or alone. Answers for each riddle are provided on the next page, which makes them easy to print double-sided. 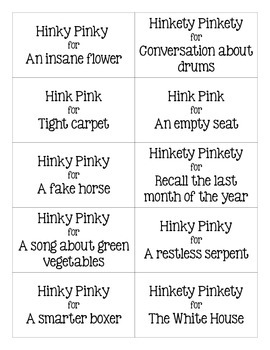 I have included one page of blank Hink Pink cards. When students have mastered the way the game is played, they can move on to writing their own riddles. Laminate the blank cards and students can write their clues in dry or wet erase marker—your cards can last forever! Thanks for viewing and I hope you and your students enjoy the riddles!